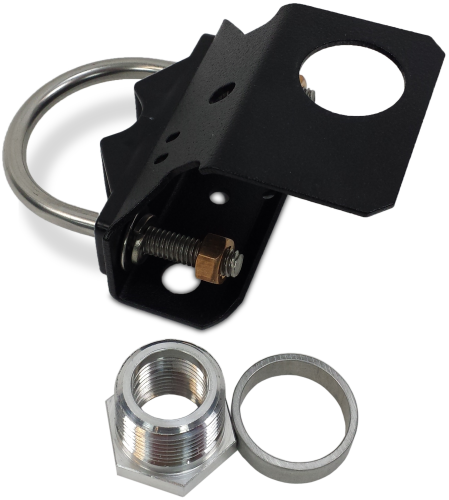 The 30626 is an antenna mounting bracket designed for antennas with 3/4 in. IPS mounting threads. It is most commonly used with the 17992 GPS antenna or the 30741 Iridium antenna. Because the 30626 is made from steel, it is suitable for mounting small magnetic-mount antennas typically seen with GPS patch antennas. The 30626 fits a 1.0 to 1.5 in. OD pipe.